Global Advertising Specialty Impressions Study, V. 3 By ASI Research For this section, respondents were asked to provide up to three promotional items they had received in the last 12 months. 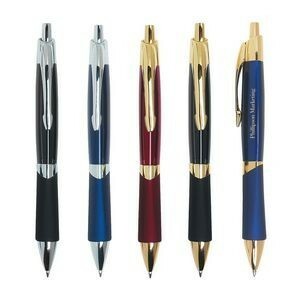 Promotional items were defined as items that include pens, T-shirts, mugs, calendars, or any items that have a logo or message from an advertiser on them; they are usually given away for free to consumers in hopes of positively influencing their purchasing preferences or their attitudes toward the advertiser. 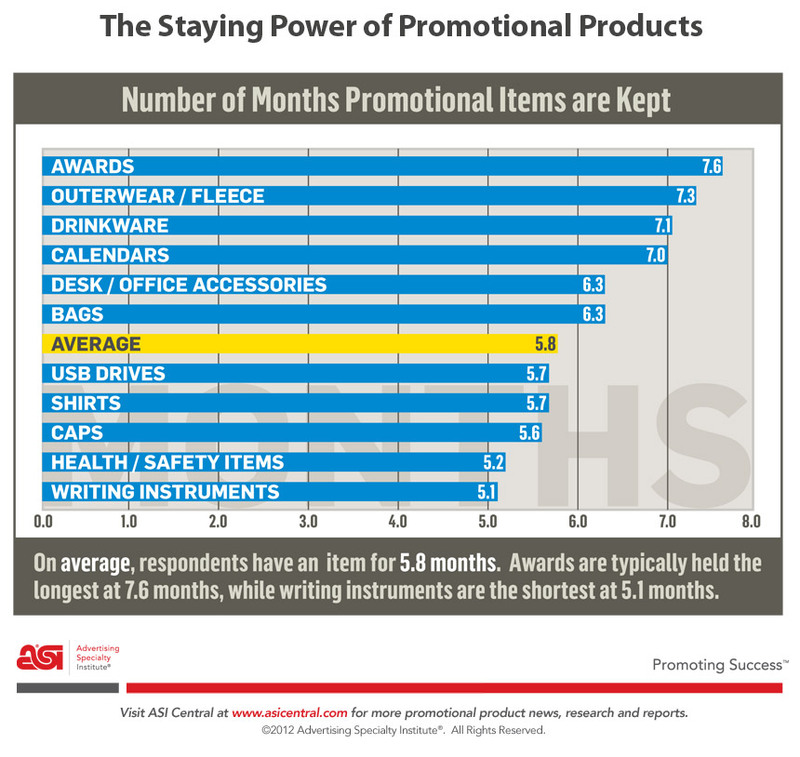 As the chart below reveals, writing instruments were the items most commonly cited, as nearly one-half (49%) of promotional product recipients reported getting at least one in the last 12 months. There are also significant differences by country, as revealed on the chart. Global Advertising Specialty Impressions Study, V. 3 By ASI Research In addition to identifying the logoed items they had kept, respondents were asked how long they had kept the item that they received within the last 12 months. 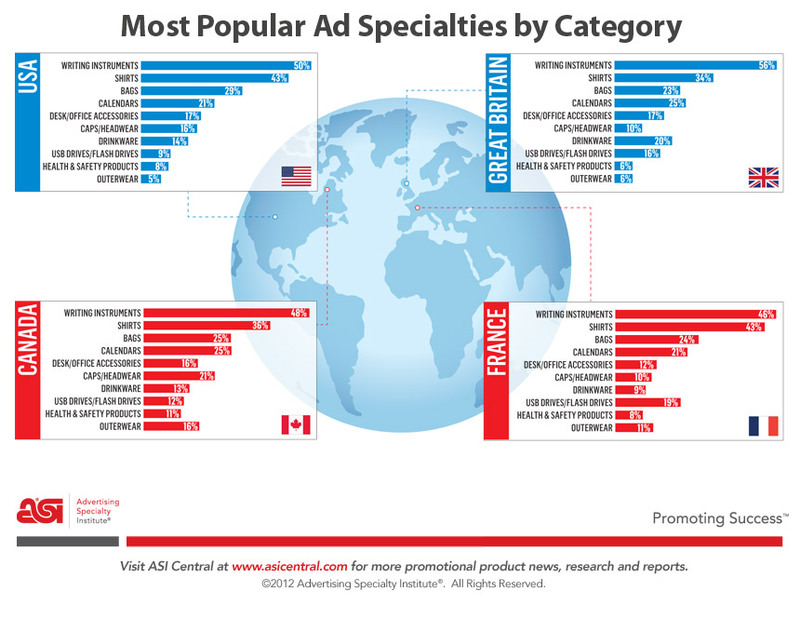 On average, ad specialty items are kept for nearly six months in the U.S., slightly less time than in other countries. Awards are typically held the longest, for about eight months. Writing instruments are held the shortest amount of time, at just over five months. The length of time items have been kept has stayed about the same since the survey has been conducted.